Happy Friday! 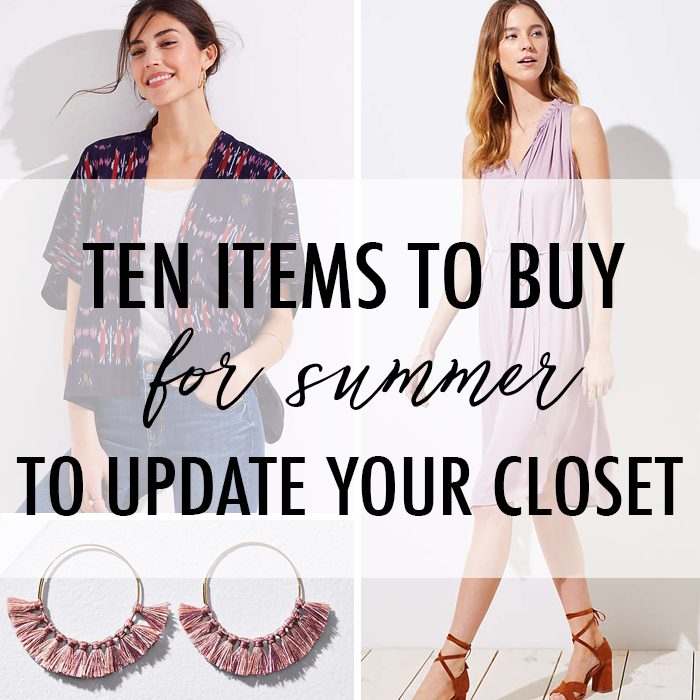 Today, I am sharing 10 picks to update your summer closet. 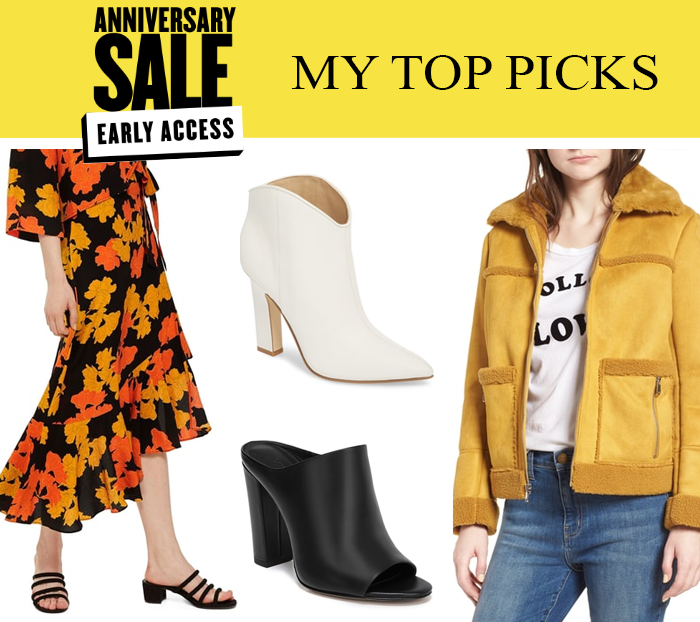 There are so many great finds and deals right now! I cannot believe that next week is July 4th! This summer is flying by so fast. 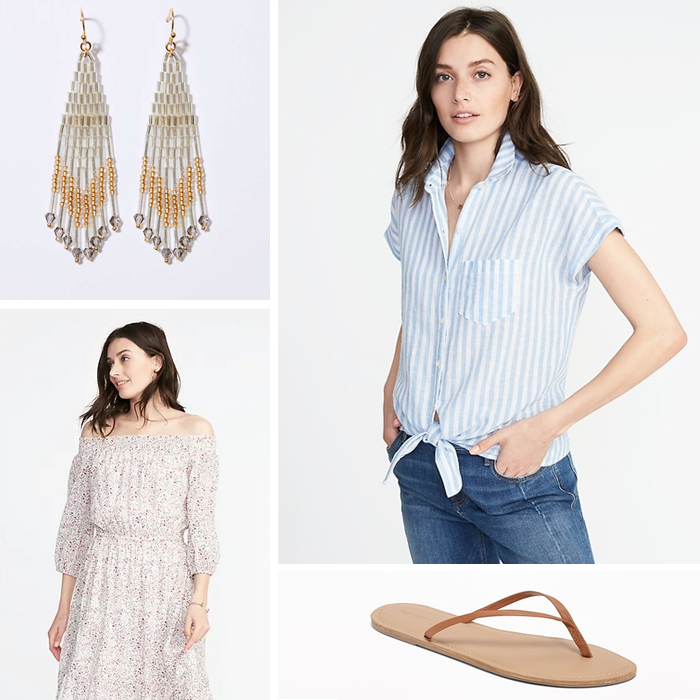 This look is a simple red, white and blue look that is easily pieces you can wear all summer long. 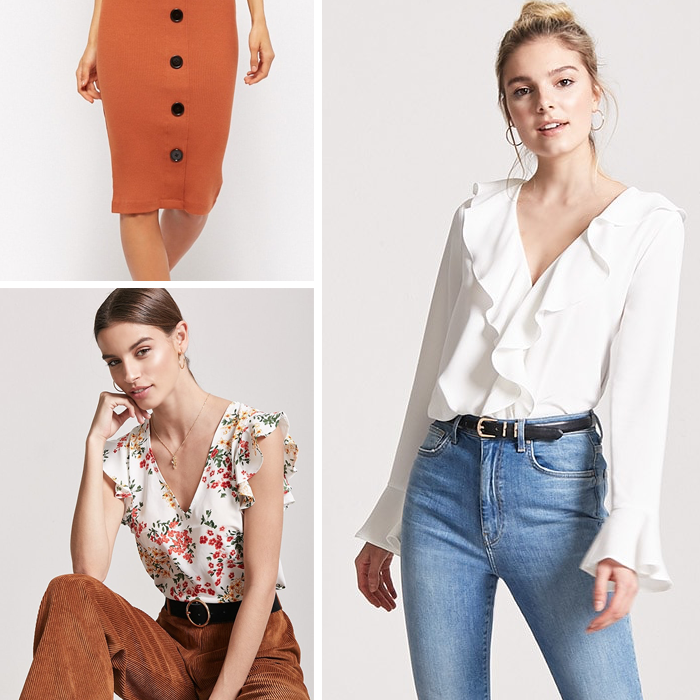 That wrap blouse is a great price! 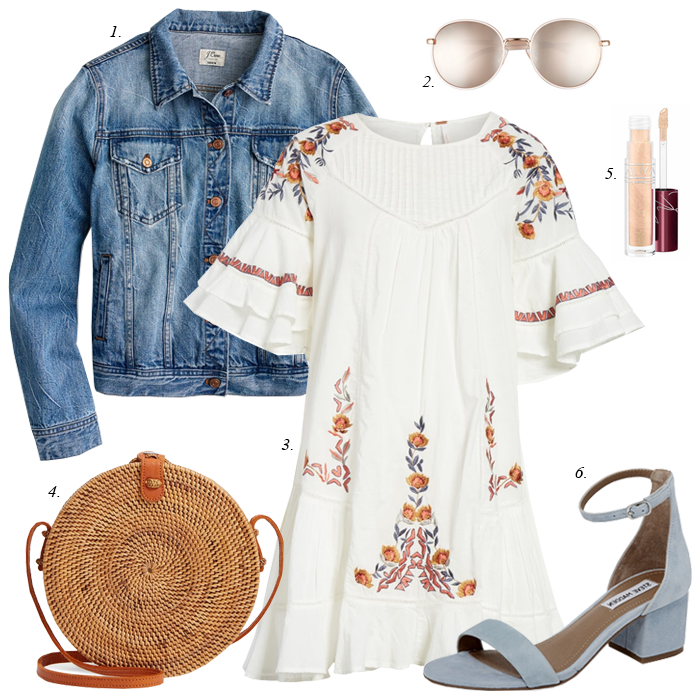 Some of the most popular looks I have put together have been dresses with denim jackets - like this $25 dress outfit from last year and this cute floral maxi dress outfit from earlier this spring! If you can believe it, I am still looking for a replacement denim jacket. You may remember, but last winter, I was cleaning, and decided to get rid of my denim jacket. I am not sure what I was thinking. That is why when you clean your closets, it’s always good to have a “maybe” pile that you keep for 6 months. If after 6 months, you have not worn the item, then get rid of it. Happy Friday! There are a lot of great sales happening right now. 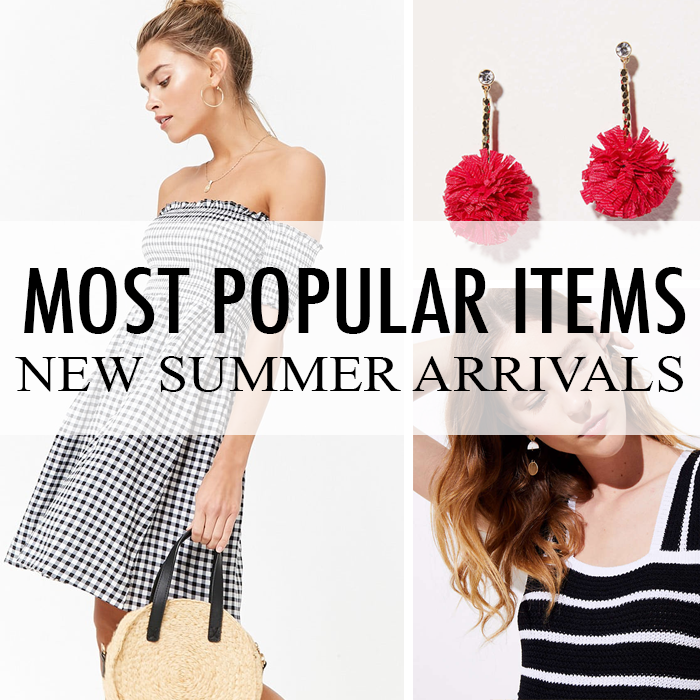 Here is a round up of some most popular summer items and great deals! 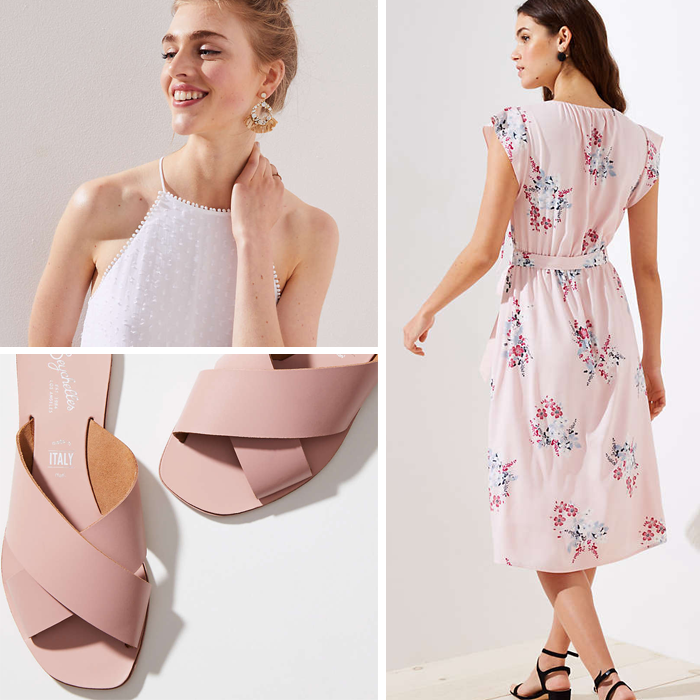 Anyone else getting excited for the Nordstrom Anniversary Sale coming up in a few weeks? I have put myself on a buying “freeze” other than necessities - in preparation of the upcoming sale. Anyone else saving up? Since fall and winter are my favorite style season, I like to save my money to buy those items. Any ideas on what they might bring back? Or what new items you are hoping the sale might include? This popular cardigan that sold out - and I wasn’t able to buy. This rib knit cardigan - a basic I always stock up on at a sale price! 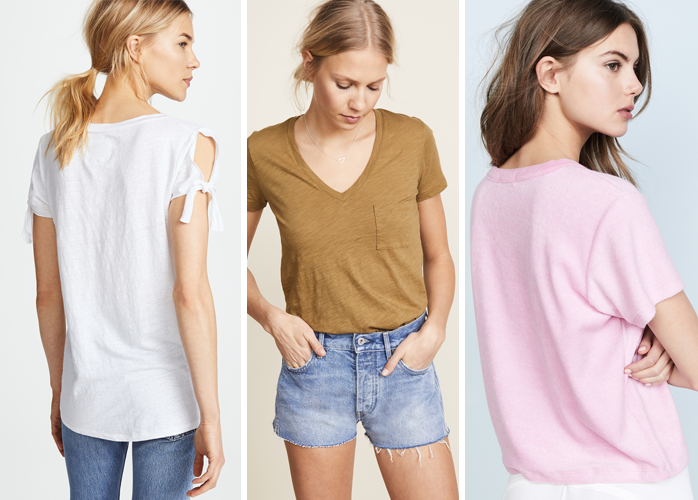 I always stock up on these basic tees - hopefully, they are on the sale. I am really hoping some boots like these show up on the sale! I really want tall burgundy boots. 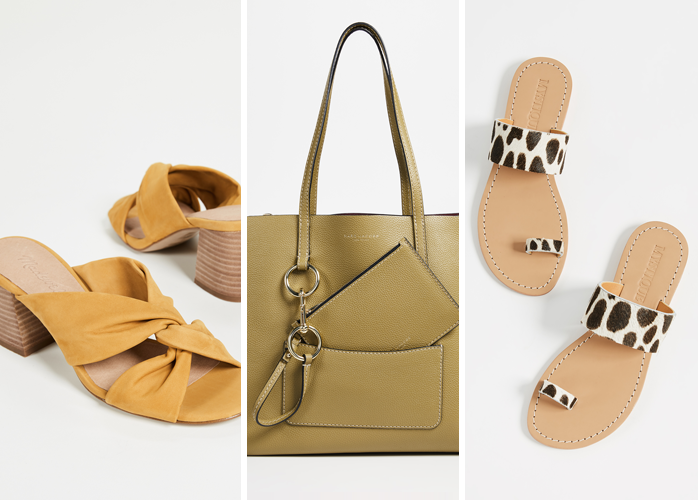 Do you have a pair of favorite shoes? Mine are probably my leopard pumps. I wear them so much - that I have worn out several pairs. The ones I currently have should probably be thrown out, but I cannot find new ones that have the same leopard print. After putting this outfit inspiration together, I decided to wear pretty much this exact look to work. I love the mix of the yellow and white with leopard. Also, I wanted to mention that the cute grommet bag is only $28! It looks like it would cost a lot more. 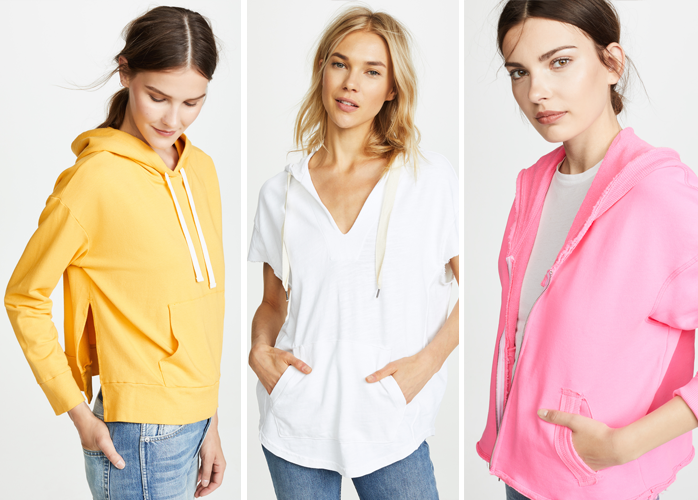 Also, the sweater is 40% off - and comes in a couple colors! What are your thoughts on a kimono? Have you bought one? I feel a bit like I might be one of the last to join this party because I have yet to buy one. I love the print of this one - and styling it with denim shorts. I just wonder how much I would wear it. I am excited about the weekend and sunshine. I am trying to be positive in anything I say or do - to combat any negativity that tries to invade my mind! Anyone else do that? There is power in positive thinking. "Positive thoughts and positive speech encourage positive responses." - From a favorite author of mine. Do you have a favorite brand of jeans? I am pretty picky about my jeans, and for the longest time, I thought I had found my “perfect-fit" jeans; however, recently, I started to hear about THESE GREAT JEANS. I didn’t think much of it at first - until I started to hear more and more about them; so, I decided to give them a try. After buying a pair, I have to say - they definitely lived-up to the hype. They are amazing! I am very particular about my jeans. I have two main criteria - fit and stretch. As far as fit, I have become a “high rise jeans” only person. They are just more comfortable. I do not like the awkward sit down and quickly tug a shirt over the back of my pants (so no one sees down my pants). These jeans pass that test - they fit really well around the waist with no awkward gaping. Plus they are just the right amount of high rise. I am not into that super high waisted trend. My second criteria is stretch. I have had jeans in the past that continually stretch-out, so that by the end of the day my jeans have become almost a size or two bigger. These jeans do not stretch-out with wear. I can wear them over and over - and they stay the same shape with still having enough stretch to be comfortable. I can honestly say - these are the jeans I wear on most days. And, my husband would agree. After seeing me wear them day after day - he asked me - are you going to wear other jeans or just these new ones you bought? One thing, as far as sizing, they run a little big on me; so, I actually sized down one size. 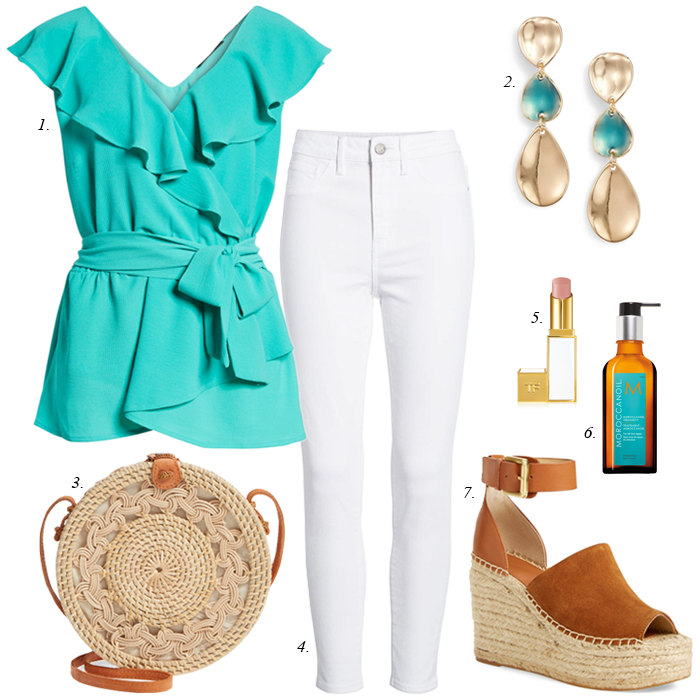 For some reason, white and turquoise just looks like summer to me. Maybe because the colors remind me of the packaging on one of my favorite hair products that smells like the beach. If you have never tried MOROCCANOIL - I highly recommend it! The smell is amazing - and it stays with you all day long! Want to know something about me? I have a hard time spelling the word - turquoise. Anyone have those words that you have Google to figure out the spelling - or use autocorrect (if it finds the right word). I honestly had to keep looking back at how to spell it. It does not matter how many times I looked at it - I kept forgetting how to spell the - "uoi" part of the word. Also, be sure to check back tomorrow - I am going to be sharing my new favorite jeans - that everyone should know about. I thought I had a favorite - but these have replaced them. Any guesses? Check tomorrow to find out! What is up with this weather? I am ready for sunny summer weather. It has rained and been cloudy more days than sunny lately. It kind of reminds me of years ago when we used to go to the lake in June - and it always rained. We would laugh about it because it never failed - the week we picked to go to the lake - it would be a rainy week; however, somehow we always managed to have a great time, even in the rain! Here are just a few more picks. 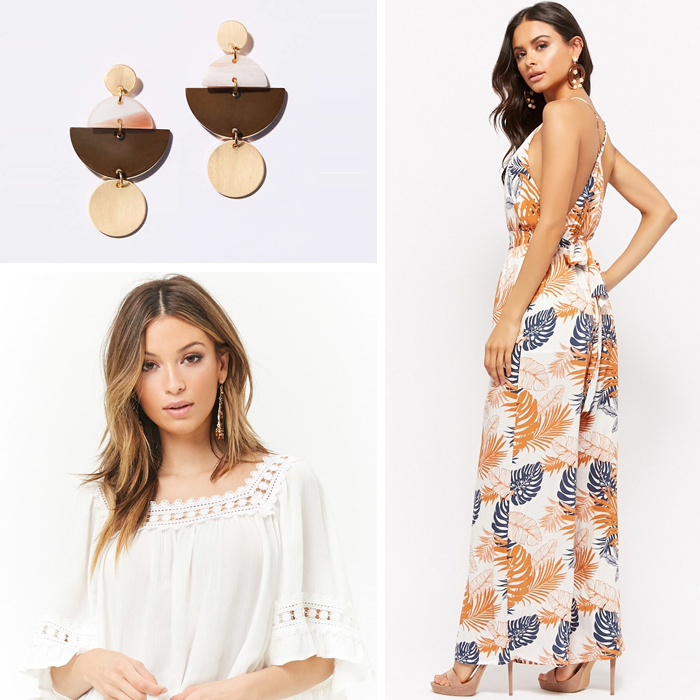 Also, that fun palm print jumpsuit is only $33! And, the embroidered top is only $20! Happy Saturday! 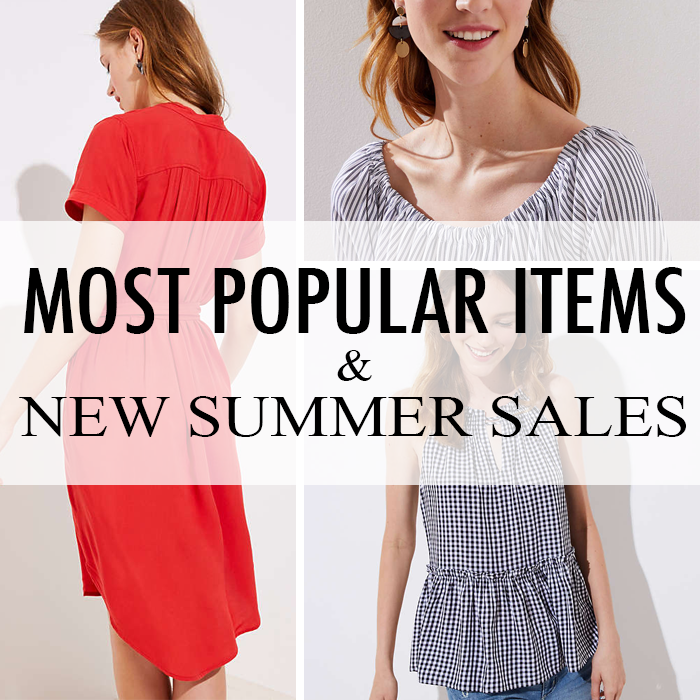 Just sharing a quick round up of some great summer finds & deals. Happy Friday! Friday is probably my favorite day of the week, especially around 5pm - because the weekend has started and the pressure is off (work related, that is!). I don't think I am alone in this. Am I? 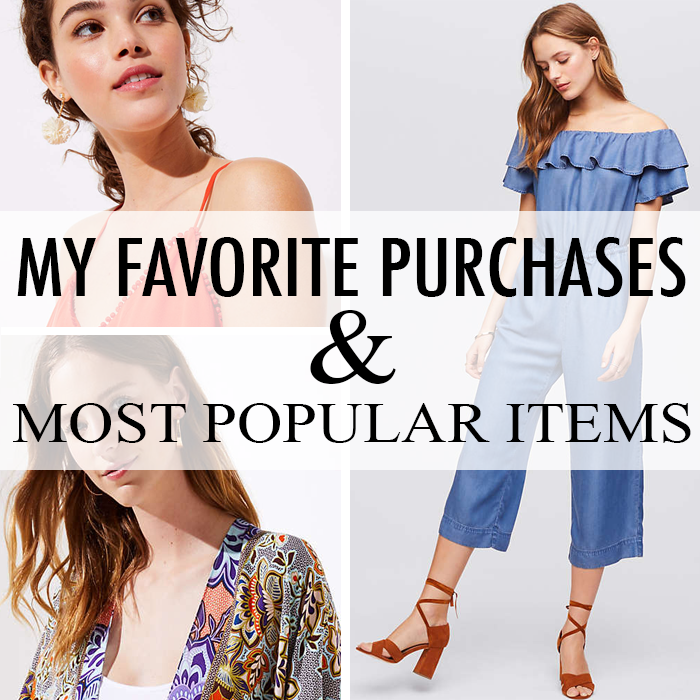 Today, I am rounding up a lot of great finds & deals. Also, I would like to mention that that cute gingham dress above is only $20! 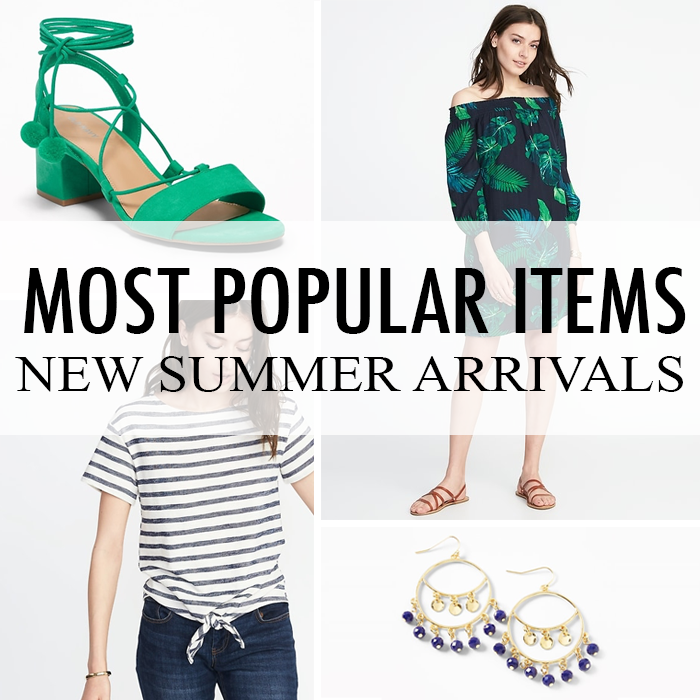 Also, I am sharing the most popular items of the week (or top clicks). Is summer your favorite season? For a lot of people, it is. I enjoy summer. I love the warmth, the sun, and being outside; however, summer is not my favorite style season. I enjoy fall and winter clothes more. I love boots, jackets, sweater, and jeans. Summer means hot weather and the need for shorts! Full disclosure, I do not like wearing shorts - in public. I have always been critical of my legs, especially the “whiteness” at the start of summer. We recently had a heat wave where I live, and I had to be outside - and needed to wear shorts, so I thought I would try some self tanner - to add a little color to my legs. As hard as I tried to have it turn out “natural” - it ended up with those annoying streaks - right down the front of my shin and ankle! After the debacle, a friend reminded me of this “airbrush tanner” product. I have heard great reviews of it before - so I am going to give it a try. I’ll let you know what I think. Anyone else have great self tanner products they highly recommend? Don't you love that porch swing? I think I could sit on that for hours. Today, I am sharing a little more about me in a Summer Q & A with The Blended Blog. Hope you are having a great weekend. 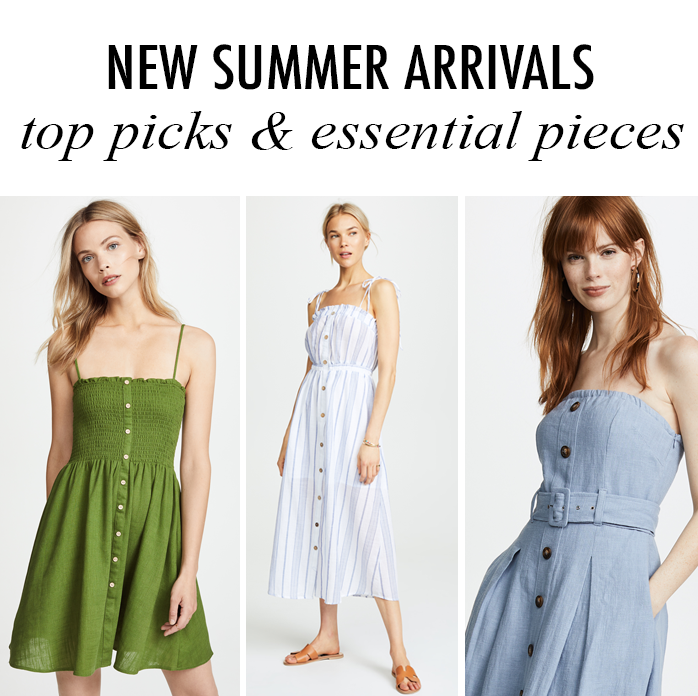 I am sharing some more summer items to check out. This week has been so busy, and I am totally exhausted. I am getting closer and closer to my new designs and start-up design business; however, the process has literally worn me out! I am ready for a V-AC-A-T-I-O-N!